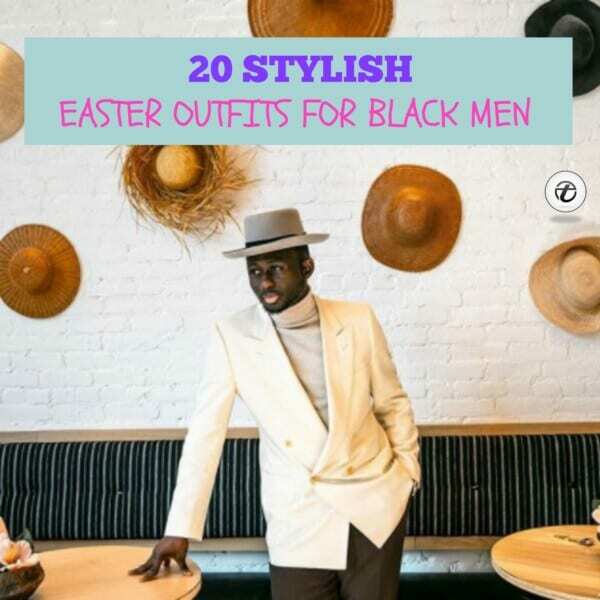 Easter Outfits For Black Men – Boys, it’s time to celebrate Easter in style! And when it comes to carrying an outfit with class, there is no denying that black men do it best. From three-piece suits to casual sweaters, there is absolutely nothing you cannot pull off! They say “A dress is a reflection of your personality” and that is exactly why you need to put effort into how you are styling your outfit. While you may feel like you do not have a lot of options to choose from, that is in fact not true. So this Easter, we are here to help you put your best foot forward and impress the crowd with your A-game outfit! Nothing beats a classic three-piece suit when it comes to dinner festivities and family gatherings. It’s formal, it’s classy and continues to maintain its popularity amongst men of all ages and color. And why shouldn’t it? It looks absolutely handsome and shows that you have a good taste in fashion! Of course, you can not always stick to the same kind of suit and will have to modify it as you go along depending on the type of event you’re attending or hosting this Easter. If you want to go more formal, pair your suit with a nice bow tie, or even replace the dress shirt with a pleated shirt as it looks more formal. You can also choose the color according to the dress code. A white suit is the most formal for white-tie events, followed by black. To give you a better idea, we have rounded up 20 different outfit styles for you to take inspiration from this Easter. Have a look! Velvet gives off the perfect festive vibe, pair it with any shirt of your choice to make your outfit look fancy. Here are 30 Casual Outfits Ideas For Black Men. If you don’t want to look too formal, you can simply wear a suit with a striped tee to give you a fresh young look. Turtlenecks have recently made a comeback in the fashion scene, so why not go for a turtle neck with a blazer this Easter? White button down shirts never go out of fashion and neither can you go wrong with them! It looks perfectly classy on its own when worn with a dress pant, or you could always wear a coat on top. Check out these 15 Ways to Wear White Button-Down Shirts. If you’re not into plain suits, this one is for you as it will give you a sophisticated and trendy look. When going for mass, it is better to go for a formal outfit and what better way to do so than a three piece suit with bow tie! Turtle neck, blazer and a hat makes one killer combination, especially when they are all in neutral tones such as this one! Nothing speaks class like a black tux and being a black man, this outfit will totally compliment you! 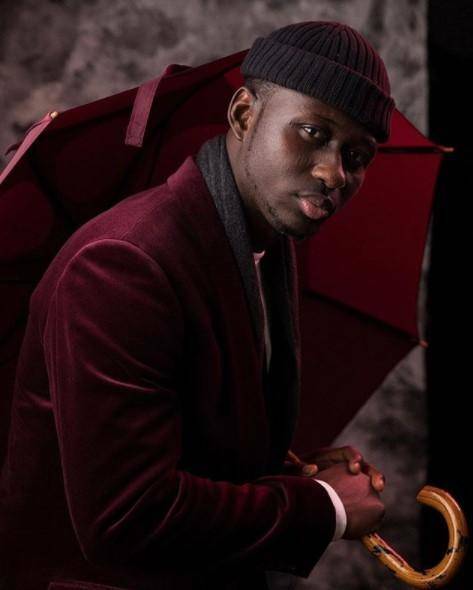 We get that you might not want to wear a suit every time, so here’s an outfit with long coat, sweater and denim jeans you can take inspiration from this Easter! Here are Latest Beard Styles for Black Men. This kind of suit is perfect if you want to look modern and stylish. You can go for a simple shirt with a statement jacket or blazer and make all heads turn your way! Keep it casual with a cool leather jacket, white tee and black pants. Don’t forget your hat and a pair of stylish sneakers. Tired of black, white and beige suits? You can go for an olive one as this color is totally in trend this season! Here are 18 Popular Dressing Style Ideas for Black Men &#8211; Fashion Tips. Make a statement with a fancy or embellished blazer over a simple shirt to stand out. Who says suspenders are only for oldies? Check out this super stylish look, doesn’t it look amazing? You can pair a printed shirt with a suit to make your outfit look interesting and fashionable. White color pants look great with almost every kind of shirt and you should definitely consider it for your Easter outfit! Beige is always a safe color to go for and looks fantastic! Do give us your feedback in the comments! We wish you a very happy Easter and hope this article served itself in finding what you were looking for!